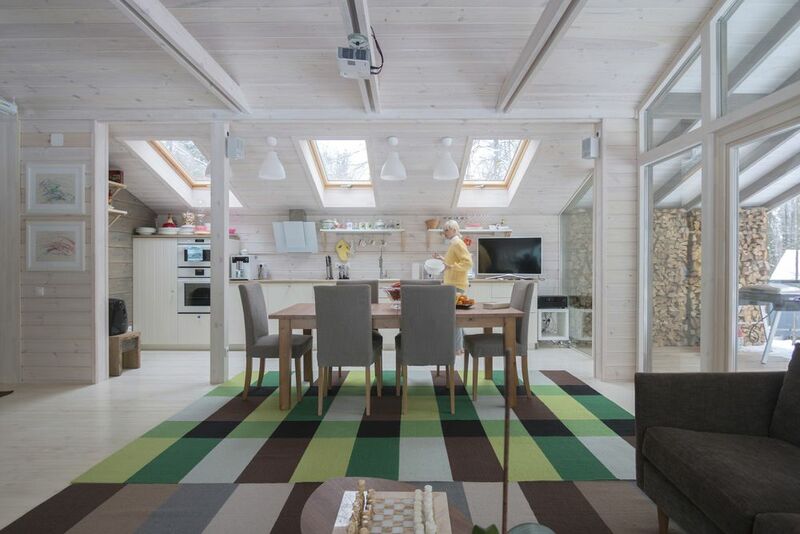 Spacious but compact, this beautiful timber house was designed by Bio Architects. Bio Architects is a Russian company in the field of architectural industry. They have been constructing and designing architectural projects for several years now, and they have been a member of Club of Industrial Designers in Russia as well. Young couples with a small family will love this house because of its simplicity and the peacefulness of the surroundings. 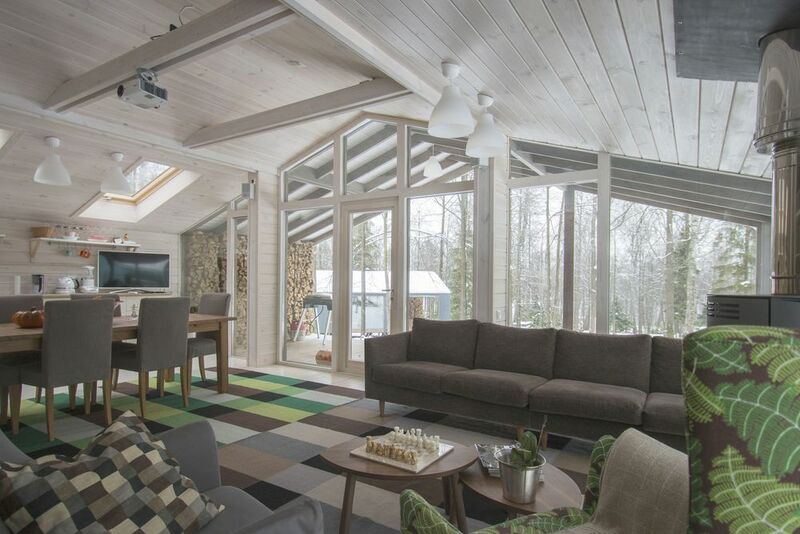 This 430 square feet timber house is made from materials like metal, barn board, and glass. 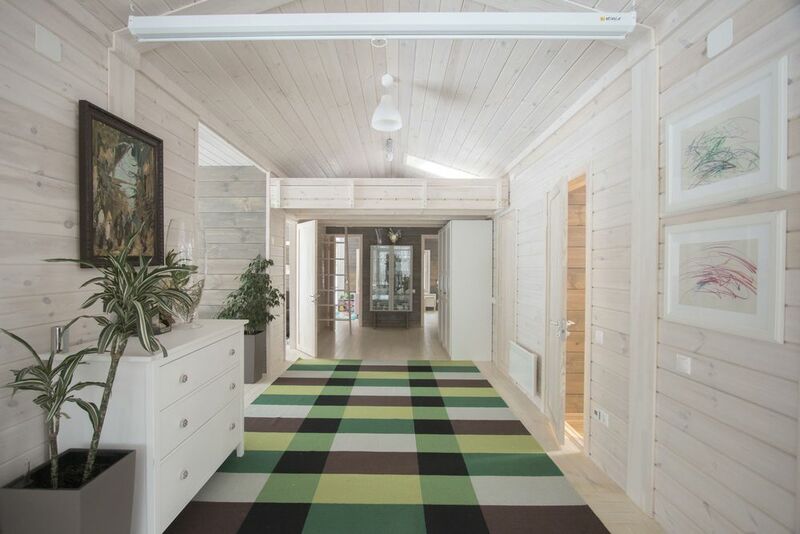 It has a solid pine interior, which is painted white to accentuate the peace and calmness inside the house. This house also comes with a combined 670 square feet worth of terraces and verandas. 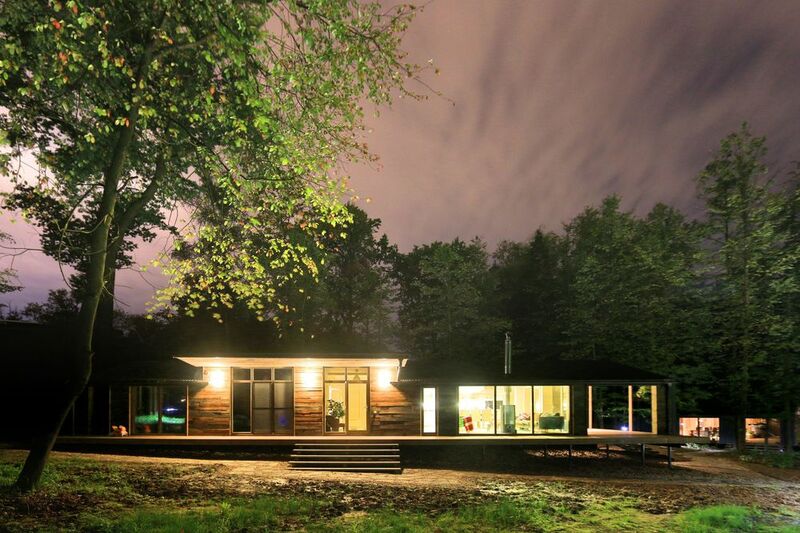 It overlooks the spacious scenic spot outside the house and can be viewed from the inside through the glass wall. 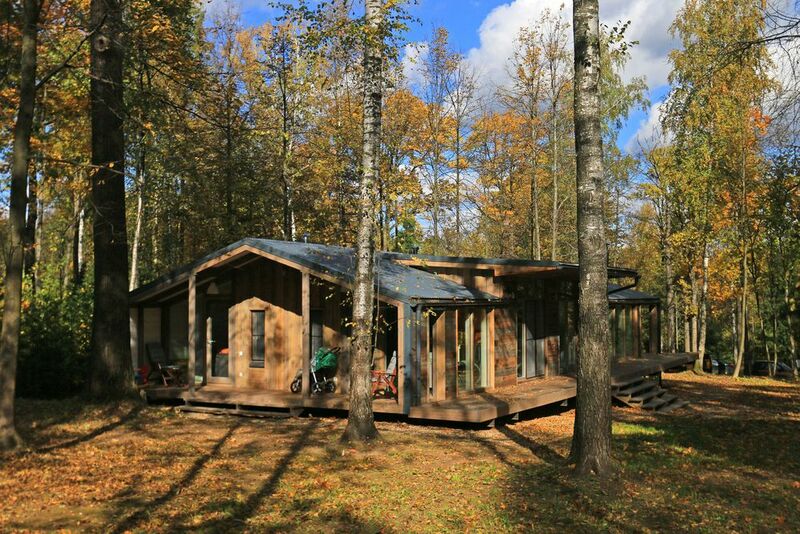 Both the relaxing location of the house and the scenic view gives you a place where you can enjoy the nature and spend some time doing outdoor activities. 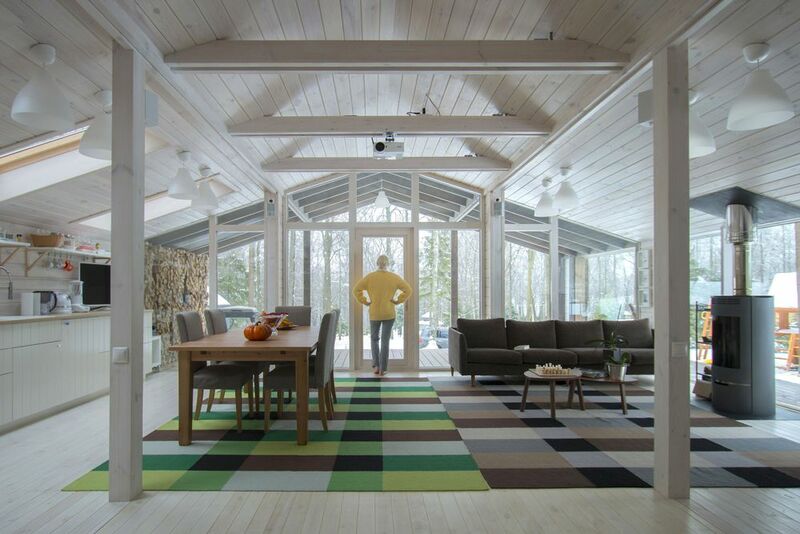 The spacious interior of the timber house has exposed beams that are reminiscent of the midcentury posts and beams. However, its large skylights and sleek and discreet cabinets add a modern vibe. Large skylights can be used for stargazing and night sky viewing inside the house. Its white-painted walls also add comforting air inside the house. 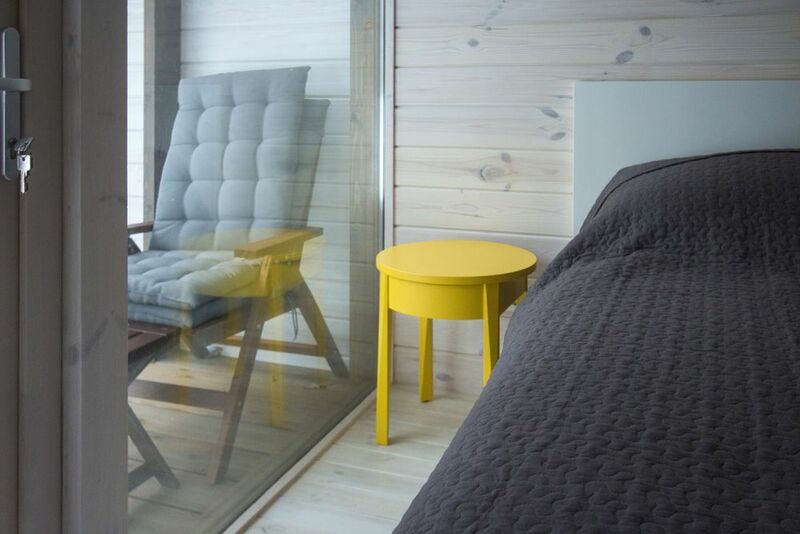 Aside from the exceptional design of the interior of the timber house, the simple but sophisticated furniture adds a more relaxing feeling and pleasure to the owner. 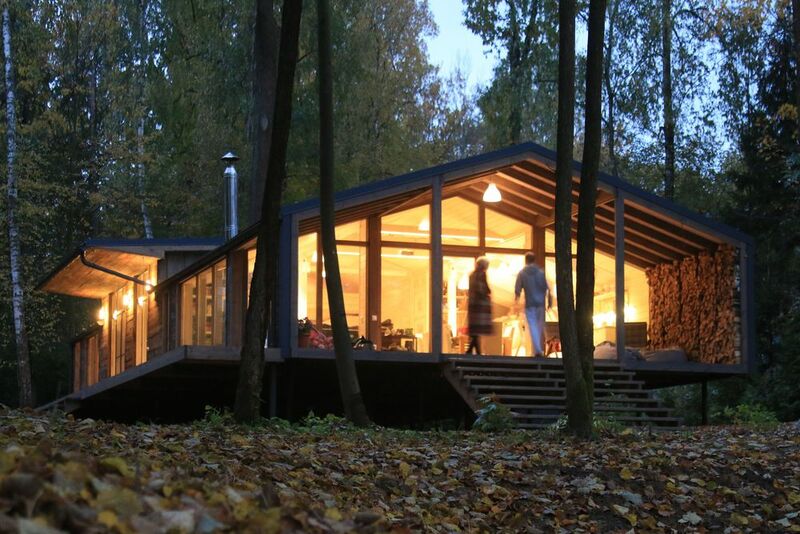 This house can be made as a getaway for the weekend, a vacation house, or a permanent home for the family who wants to get away from the hustle and bustle of the city. Taking a day in this house would surely make you at ease and comfortable with the nature around you. 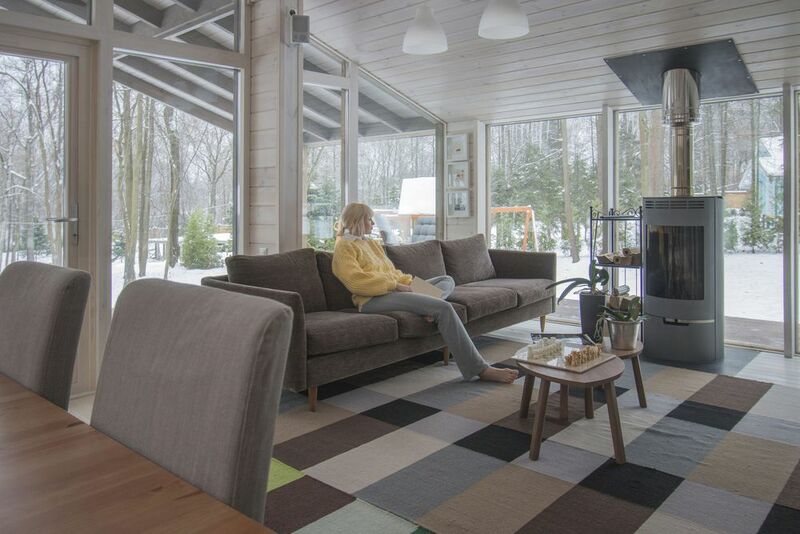 The white solid pine interior gives a peaceful vibe to the owner. 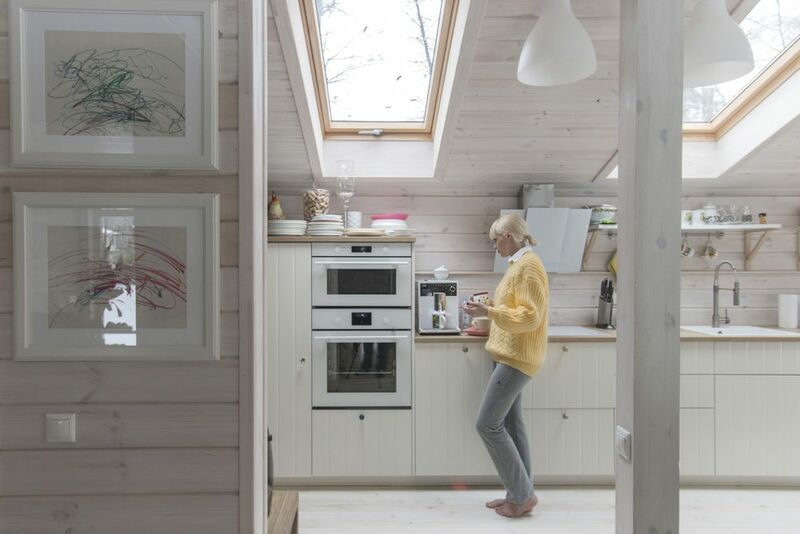 The large skylights and sleek cabinets add a modernized feeling. Simple but sophisticated furniture pieces are eye-pleasing. The interior is perfectly designed, not too spacious nor cramped. Take a short relaxation on the bed while looking outside. The yard is large enough to hold numerous outdoor activities.